Shoes are necessary, utilitarian, and mostly mandatory. They are also fun, creative, and wonderful expressions of our creativity and personality. 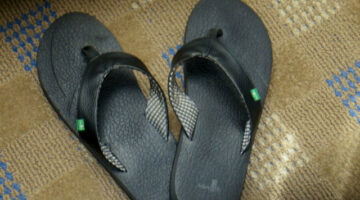 In that expression of our personality, many of us gravitate toward different shoe fads. Shoe fads usually take one aspect of a regular shoe and exaggerate it. That means new fabrics, unusual lines, and even extreme heights. 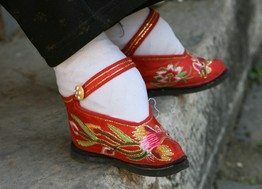 Do you have wide feet? Here’s how to measure your feet for your true shoe size. Plus, lots of ways to find wide shoes. I hate throwing out shoes, especially when they are in perfectly good condition. Like when your kids have outgrown them. Soles4Souls is a reputable organization that accepts gently worn shoes and gives them to people who are in need of shoes. 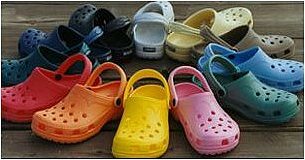 Crocs shoes shrink when exposed to high heat: left in a hot car, washed in the dishwasher, left outside in the sun. 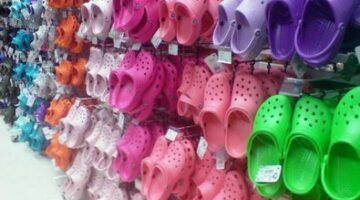 Here’s how to unshrink Crocs if yours have shrunk. 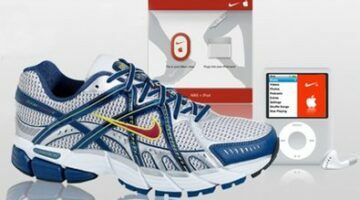 I can’t think of a shoe that is more high-tech than the Nike + iPod workout kit. All you have to do to have the best of all worlds is to get yourself a Apple iPod nano, a pair of Nike+ shoes, and a Nike + iPod Sport Kit. 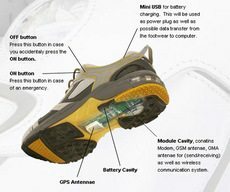 From there, your shoes and your iPod will begin to communicate with one another. You can watch the time, track your miles, and listen to songs — all while receiving real-time feedback about your run. As strange as they look, I’d definitely wear Z-Coil shoes. I’m just not sure I can afford ’em. They cost about $200 a pair. I also like that they’re made in the USA. Finally, a basketball shoe that looks expensive and trendy, but only costs $14.98. The kids love these sneakers. 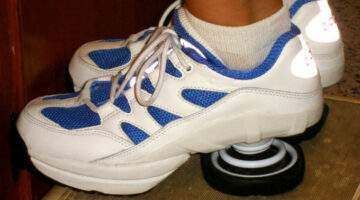 And finally, it’s a tennis shoe that parents can afford! 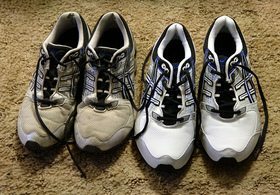 Here are examples, photos and instructions for lacing up your shoes. 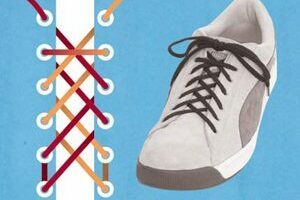 See how to tie your shoelaces in the following ways: Ladder, Zipper, Double Back, Loop Back, Bushwalk, Sawtooth, Footbag, Display Hash, Twistie, Hidden Knot, Riding Bow, Checkerboard, Lattice, and Bi-Color.